The Candy Perfume Boy’s Guide to series is an olfactory exploration of individual notes and ingredients that looks at the essential perfumes one must try as part of their fragrant journey. Each episode focuses on a particular note and lists the reference perfumes (i.e. the ‘must sniffs’) within that particular genre. So far in the series we’ve explored the worlds of; Tuberose, Lavender, Oud, Orange Blossom and Chocolate. Up until now the ‘Guide to’ series has been relatively sporadic but moving forward, the intention is to schedule instalments for the beginning of each quarter – therefore suggestions on which note/genre to explore next are most welcome. This episode takes a look at the humble violet – a genre that doesn’t quite get the exposure that it deserves. It’s a note that is more likely to be associated with the stiff upper lip of Victorian Britain than the contemporary world of modern perfumery but a number of perfume houses are making solid efforts to change this perception and are making pretty fantastic perfumes along the way. 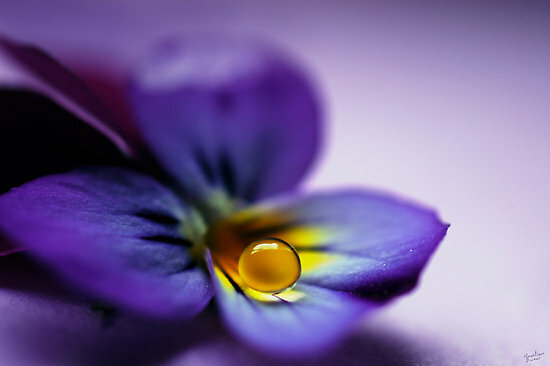 Violet is perhaps one of the most unmistakeable odours found in perfumery. It can be described as being; sweet green, sugary, earthy, damp, powdery, airy, translucent and just like parma violet sweets. Much like lavender, It has a tendency to be thought of negatively, with many seeing it as old-fashioned or ‘grannyish’, however this is far from the truth and thankfully the note appears to be undergoing a renaissance with many perfume houses offering new and contemporary interpretations. In this guide you will find The Candy Perfume Boy’s reference violets – those perfumes within the genre that simply must be smelled before one can consider themselves as a violet aficionado. These perfumes range from the more simplistic interpretations on the note to the complex and frankly downright bizarre. Alexander McQueen’s second and last perfume ‘MyQueen‘ is as good a place as any to start a journey of violet discovery. Compared to his infamous first perfume ‘Kingdom‘ (a veritable skank fest), MyQueen seems almost dowdy but to its credit it does have the rather wonderful quality of being one of the best examples of a ‘straight-up’ take on the note of violet. In MyQueen the violets start out damp and earthy, tempered by just the right amount of parma violet sweetness. Heliotrope gives the entire composition an airy, ethereal quality that works wonderfully with MyQueen’s robust base of patchouli (thankfully not the overly sanitised kind) and delicious vanilla. MyQueen was created by perfumers Anne Flipo, Dominique Ropion and Pierre Wargnye in 2005, and whilst it may be discontinued now, it is very easy to find on discounter websites. MyQueen may not possess as distinct a character as McQueen’s Kingdom but it does give off a wonderful vibe of old-fashioned romance that makes it something rather special indeed. Tom Ford’s signature collection consists of bold, buxom fragrances such as Black Orchid, White Patchouli and Sahara Noir – all of which display a certain degree of grandeur. Violet Blonde however, sticks out as a more casual fragrance, almost as if the other three are haute couture gowns and VB is an entirely more accessible piece of pret-a-porter. Violet Blonde takes the sometime old-fashioned note of violet and brings it bang up to date in a fashionable fizz of aldehydes and pepper. The violet is supported by creamy white flowers (mainly jasmine) and is accented by the lightest sprinkling of warm cumin spice. It also has a slightly damp, earthy quality to it sitting amongst the vanilla in the base, that gives the impression of muted colours and natural fabrics. 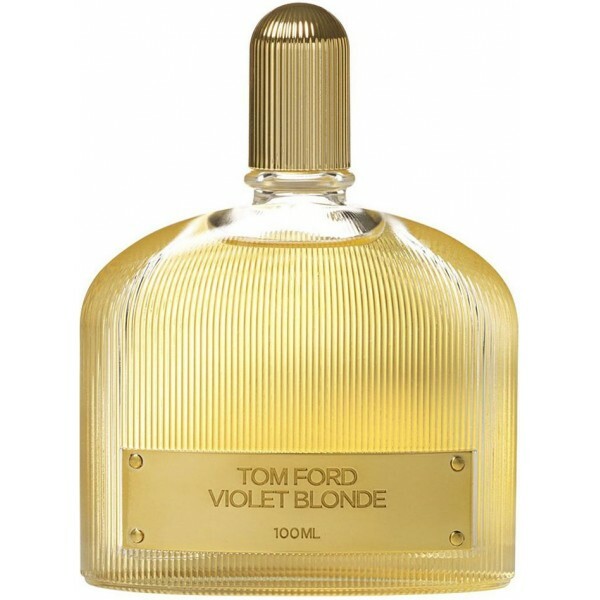 To put thing simply, Violet Blonde is one of the easiest violets to wear (and easiest of the Tom Ford Signature scents for that matter) and it strikes a nice balance between vintage and contemporary perfumery, showcasing a surprisingly relaxed and confident attitude – it’s possibly a personal favourite violet in this guide. Lush’s capsule collection of fragrances – released under the name ‘Gorilla Perfume’ – is absolutely one of the most refreshing lines on the market. Each perfume they release is utterly unique and Tuca Tuca is their take on the note of violet – and as one would expect from the people who do absolutely nothing in a quiet manner, it’s a bold statement. Tuca Tuca is notable for three particular things; firstly it is incredibly sweet, calling to mind images of parma violet confectionary; secondly, it has a wonderfully dry, dusty quality to it that is not found in any other violet perfume; and thirdly because it has a remarkably vivacious personality that one can’t help but smile at. Of course, being a Lush perfume means that Tuca Tuca has the lasting power of enriched uranium, however that should not in any way be seen as an excuse not to give it a sniff, as just a few dabs of the stuff will be enough to turn heads whilst not causing unsuspecting onlookers to flee for safety. 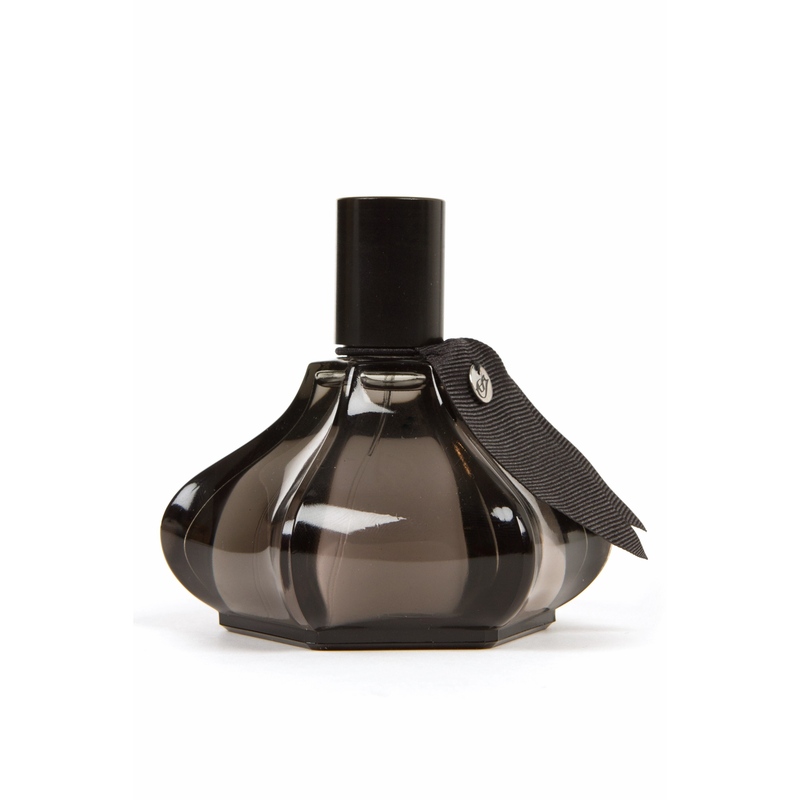 Violet Tendencies by Smell Bent’s Brent Leonesio, is a terrifyingly wonderful violet perfume. If one was to describe it in short one would call it the “kitchen knife wielding violet, dressed solely in a bloody rain mac” – an odd description for sure, but then again there is nothing particularly normal about the perfume. The secret to Violet Tendencies’ murderous rampage is its composition of dank, earthy violets (with the majority of the sweetness removed), PVC and something indescribable yet intensely ozonic. It’s all rather fascinating and one can sniff a thousand violet perfumes and find nothing else remotely like it – thankfully Violet Tendencies is one of a kind. Maurice Roucel’s Dans tes Bras (In Your Arms) for Editions de Parfums Frederic Malle is easily the most ‘high-art’ violet in this guide. It has been bestowed with the moniker ‘the naked violet’ due to the fact that it is successful in evoking the image of naked bodies intertwined. Dans tes Bras is the earthiest of violets – there is a good degree of sweetness but the main theme is an accord of damp, mineralic earth and soft purple mushrooms. A salty quality gives the impression of cool sweat on naked skin and remarkably it is dirty in the most human and skank-less way possible. As violets go, Dans tes Bras sets itself apart from the pack due to its introspective and quiet atmosphere. It may sound a tad pretentious to call it the most intelligent of violets, but there is something distinctly academic about it, almost as if its main purpose is to be appreciated from a technical standpoint, as well as to be worn and enjoyed. Comme des Garçons is known for their high-fashion and sometimes cerebral approach to perfumery. Their 2008 collaboration with British milliner Stephen Jones is no exception to this rule and it takes its place in this guide as one of the notes’ more unusual interpretations – ‘the burning violet’. My good friend and Fragrant Reviews cohort Nick Gilbert described Stephen Jones Eau de Parfum as “violets on fire”. Never has a more accurate description for a perfume been uttered and Stephen Jones is exactly that – it is the violet comet, burning bright and hot as it enters the earth’s atmosphere. Stephen Jones displays violet in a setting where it is equally matched by the intensity of cold aldehydes and scorching carnation. Everything about it is fascinating and it feels like a rockstar of a violet that should only be worn with a leather jacket, skinny jeans and a few blingy Butler & Wilson skull pieces. Tom Ford’s Black Violet was in fact released before Violet Blonde as part of the original series of Private Blends in 2007 and the two are vastly different in style. This darker violet is an essay on how the note can be used as a supporting act rather than the main feature of a composition and it works simply because it conjures up a good sense of old school glamour. Black Violet is Tom Ford’s ode to Chanel’s Coco and one would class it as the most baroque violet perfume available. Amongst the violet there is citrus, dried fruits, patchouli moss and woods, to create a satisfying (and unusual) hybrid between a dark oriental and floral chypre. 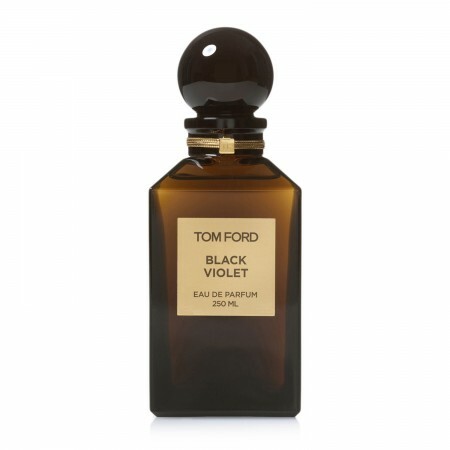 Unsurprisingly, Black Violet is very much in line with Tom Ford’s über glamorous aesthetic and whilst it may not be as heady and intoxicating as the brand’s signature perfume Black Orchid, it does speak of couture-clad femme fatales with exceptional taste and style. This one’s a violet for the modern glamour puss. Violette Fumée is the latest fragrance from Mona di Orio and for that reason it is the one that has had the least amount of time to make an impression. That said however, in the short time one has had to sniff Violette Fumée it has left enough of a mark to be included here as a reference violet. Where Violette Fumée is different from other violets is in its green nature. Most violets sit somewhere on a spectrum where the polar ends are ‘sickly sweet’ and ‘fresh earth’, but Mona di Orio’s violet places itself somewhere outside of this spectrum, opting for notes of lavender, rose and violet leaf to give it more of a natural feel. The composition does become sweeter with time as Violette Fumée settles into its dry down. Pipe tobacco, vetiver and vanilla create an interesting dynamic where a plush texture meets astringent facets and a heliotrope-esque almond tone, making for the a most interesting take on violet. Stay tuned for a full review next week. Guerlain has a number of violet-centric perfumes, perhaps most notable is their 1906 offering Après l’Ondée, but as that is a perfume every single fragrance nerd should sniff one has decided to omit it here. 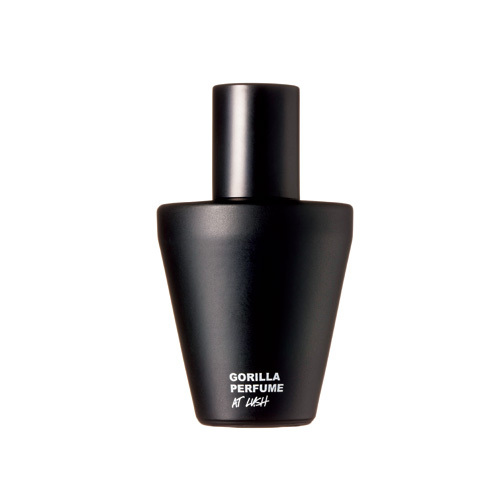 Instead, and perhaps rather selfishly, one has opted to include his favourite Guerlain violet – the frankly ridiculous Insolence Eau de Toilette. 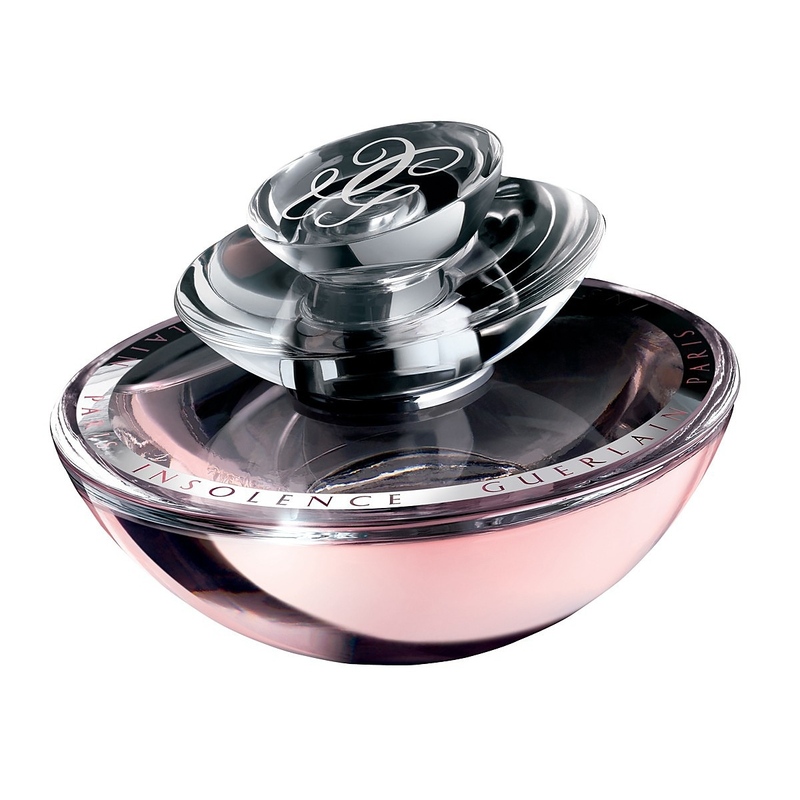 Insolence is another Maurice Roucel creation and entered the ring in 2006 as a contemporary riff on Guerlain classics such as L’Heure Bleue and Après l’Ondée. It is best described as a big fizz of pink berries, iris and violet that is as dizzy and fun as it sounds, especially in the Eau de Toilette concentration. The best element of Insolence however, is the gigantic cloud of violet hairspray that is released from the bottle upon spritzing. In this case the violet is light, airy and diffusively powdered to create a mist of purple dust that fragrantly glitters and shimmers on the skin – it is truly wonderful (and sometimes unashamedly gauche) stuff. 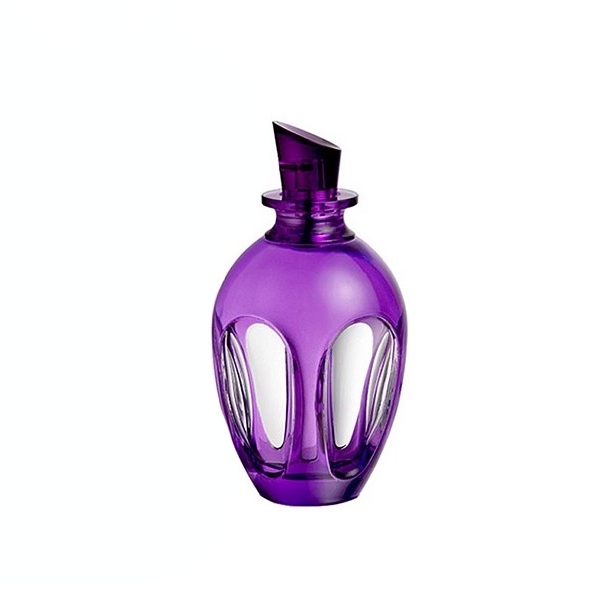 What are your favourite violet perfumes? Do you agree with my ‘reference’ violets? Which note would you like to see next in the ‘Guide to’ series? Image 1 via bubblews.com [edited]. Image 2 via redbubble.com. Image 3 via parfumurifemei.com [edited]. Image 4 via parfum-store.ro. Image 5 via lushjapan.com. Image 6 via notablescents.com [edited]. Image 7 via laclaireur.com. Image 8 via openingceremony.us. Image 9 via harveynichols.com. Image 10 via maisiqueparfum.blogspot.com [edited]. Image 11 via bloomingdales.com [edited]. via wikipedia. Posted in Alexander McQueen, Article, Comme des Garçons, Editions de Parfumes Frederic Malle, Gorilla Perfume, Guerlain, Mona di Orio, Smell Bent, The Candy Perfume Boy's Guide to..., Tom Ford, Violet and tagged Alexander McQueen, Black Violet, Comme des Garçons, Dans tes Bras, Editions de Parfums Frederic Malle, Gorilla Perfume, Guerlain, Insolence, Insolence Eau de Toilette, Mona di Orio, MyQueen, Smell Bent, Stephen Jones, The Candy Perfume Boy's Guide to..., Tom Ford, Tom Ford Private Blend, Tuca Tuca, Violet, Violet Blonde, Violet Tendencies, Violette Fumée. Bookmark the permalink. A great round up of violet perfumes. 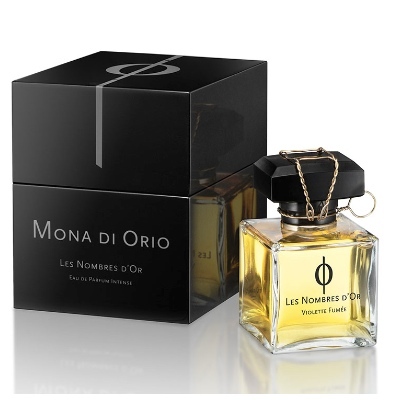 I’d like to try the new Mona di Orio that is now available. You didn’t mention Creed’s Love in Black. What do you think of that one? To my nose Stephen Jones smells just like Dove soap, but amped up to crazy levels. Love in Black is an interesting one. It has a really unusual doughy Iris note that is definitely intriguing but the correlation with the parma style violets feels a little jarring. A delicious and very contemporary selection.. just the thing to prompt The Dandy to expand his violet collection beyond the time honoured classics where it currently specialises. The splendid Victoriana of Trumper’s Ajaccio Violets. The tough leathery, comfort of Balmain’s Jolie Madam. The ethereal lightness of Van Cleef and Arpels Feerie, which transforms to rose a little way in. Serge Lutens dangerous De Profundis. Balenciaga’s pretty eponymous deco ball gown stained with marmalade. Caron’s masterly, assertive anise and floral demand: Aimez Moi. And of course the ultimate trip down memory lane Yardley’s April Violets. Yes indeed a very special and sadly overlooked olfactory group indeed. Could I perhaps suggest incense for Christmas? As we shall all be feeling holy by then, or at least in need of a confessional. I’m so glad you enjoyed this guide and hope that it has potentially spurred some interest on contemporary violets. There’s a few in your list that I haven’t tried and I have noted these down! It’s always worth developing one’s education. I have noted your suggestion for incense. Oh yes, Jolie Madam! I should have mentioned that one. I have a decant of that I just recently got around to testing and it’s a divine interpretation of violet! Yes, leather and violet and lot of water under the bridge. It’s a very reflective fragrance and a personal favourite. There will definitely be more guides to come, Antqueen. I gave noted your suggestions. The McQueen scents are brilliant, Kingdom especially. I hardly wear it now because I’m preserving the little amount left. MyQueen is a good place to start when exploring violets however, if you’re not a fan of the note I’d suggest giving Violet Blonde a whirl – it’s a good violet for those that think they don’t like it. I do need to expand my perfume violetry though.. I do have Caron Violet Precieux which is kind of green and dry and powdery, in a nice way. And Balenciaga l’essence. On my list of things to try are Voile de Violet, Wood Violet and Lieu de Reves by SSS, Geisha Violet by Aroma M, and the divine sounding Violets and Rainwater by Soivohle. I haven’t tried anything of these lines yet so I need to do some serious sampling! Have you tried any of these? I haven’t I’m afraid Lynley, but I think the name ‘Violets and Rainwater’ is beautiful. It’s interesting that you like Violet in food. Violet macarons are amazing aren’t they? I’m like that with rose, any food that has rose water in it is pretty much amazing! I’m totally with you there! Lavender is definitely needed in moderation, for sure. I love your Guides and this one was as great as ever. 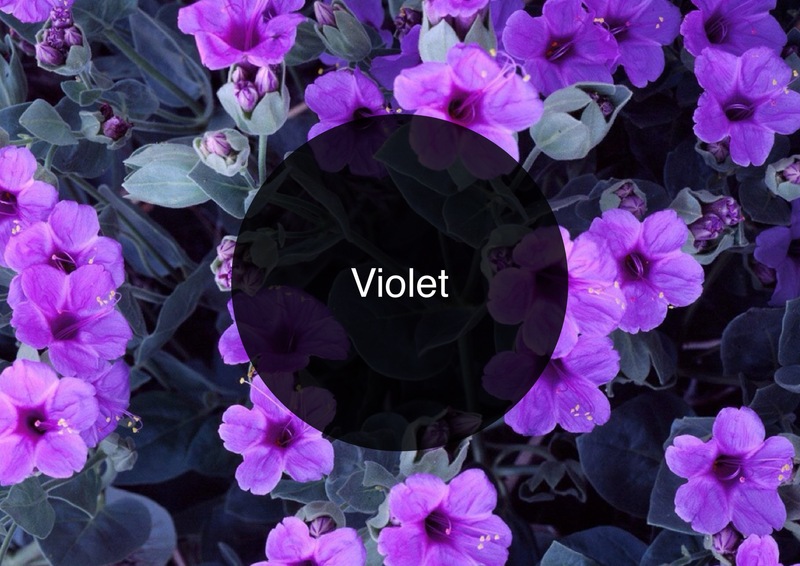 Violet is such a tricky note with so many facets and you described them all really well. I particularly enjoyed your post because I’m still looking for my perfect contemporary violet. The Tom Ford sounds the most promising for me. “The Hairspray Violet” made me smile. You’re right, Insolence is frankly ridiculous but it has such a good-time girl feel about it that it’s hard not to like. Tara, I’m really glad you enjoy the ‘guide to’ series. I find it really enjoyable and interesting to research all of the reference perfumes. Which Tom Ford has piqued your interest? Insolence really is a good-time girl – an absolute riot of a scent. The great thing is that MyQueen can be found dirt cheap so it’s a pretty safe blind sniff! I love that you mentioned “Violet Tendencies” by Smell Bent. It’s the first full bottle I ever bought from Smell Bent, and still one of my favorites when I want to wear something totally un-sweet and aggressive, yet smoothly composed. I also love Stephen Jones by CdG and wear it often – I love the whole “violets and searing hot lava rocks” scent, along with the wisps of carnation/clove that appear on my skin. It wouldn’t be a violet guide without Violet Tendencies! Smell Bent is a great line, the very talented Brent has managed to create very decent scents at a great price. A surprisingly good house. I LOVE your description of Stephen Jones! Wonderful list,and some exploring to do now! You’ve mentioned MyQueen a lot in other posts,and my interest in it has grown into obsessively searching and finding it!I love it! I’m so glad that you have found and love MyQueen! I definitely want to do an Iris guide. I shall have a think about what I could include! And I second the Iris request. Bitte, bitte. I’d love to know how others feel about Violette Menthe. It really works for me but seems to divide people. I just looked it up and it sound very interesting. Mint and violet could be a really nice comvination. 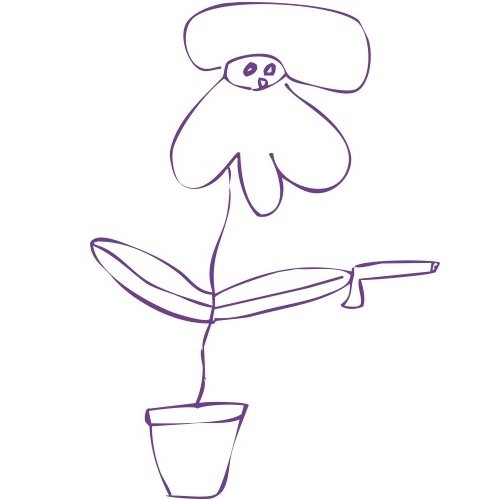 I am a gardener, from a gardening family and I love violets. Until I studied horticulture I didn’t know that ionone binded with your scent receptors and actually blocked the fragrance! All I knew was that the first sniff was heavenly…and then it was gone. The synthetics of perfume, then, allow us to hold the dream. This is a lovely series and this one takes the cake! Great list, violet is easily one of my favourite notes but I do often tend towards the more traditional violets so this has given me a few ideas. I’ve been meaning to try Stephen Jones for ages! In terms of some more contemporary violets I also love Sonoma Scent Studio Voile de Violette for it’s very fresh, crisp take on violets. It’s one I often point people to if they find the majority of violets to feel old fashioned. I shall make sure to try the Voile de Violette. SSS has done some fantastic scents. Very interesting post, excellent round-up. Penhaligon’s Violetta is a good one for summer. Violet is a note that I have had difficulties with. I used to think I just outright hated it, but I find that I’ve come around a bit. I found a couple of scents with violet notes that I love (Serge Lutens Boxeuses is my favorite), so I’ve been meaning to revisit others that I didn’t like previously and explore the note more. This list is a good place to start, so thanks for that. It is definitely one of those notes that takes a good degree of exposure before it can be truly appreciated. Like you, I hated it for quite some time. It was MyQueen that taught me that it was indeed a very enjoyable note to wear. I’m glad you enjoyed the list! I shall have to revisit Boxeuses, it’s been a while since we last met. I love your Guides and would like to request one on Chypre – you’ve already done a sort of abbreviated version for Escentual, but we could add more! Violet is one of my favorite notes. Thanks for this round up; I’ll have to give Tuca Tuca another try and definitely get over to Les Senteurs to try Mona’s. And I’d love to know your thoughts on Grey Flannel, another very green violet. SL’s Bois de Violette and Nicolai’s Violette in Love are two other favorites of mine. Thanks Kristen, I’m so glad you enjoying the Guides. I shall have a think about a more extensive Chypre Guide. Grey Flannel is a very green violet indeed – I like it but it’s not something I’d be particularly interested in wearing. I shall make a not to try the Nicolai, I like the name! I LOVE LOVE LOVE violet. My favorite at the moment is Pauline by Rancé which leans towards the violet sweet drops scent but without being overtly sweet (which I sometimes find both Apres l’Ondee (I know, it’s like swearing in church!) and Insolence being…). It has a good amount of powderyness and it has the regal old french flair (being named after Napoleons favorite sister). Will definitely look into the other scents you listed,as I feel i could broaden by violet pallet.. I shall put Pauline on my list of things to sniff!